TOPIC: This week we celebrate the 40th anniversary of the Hoop Dee Do musical Revue in Walt Disney World. 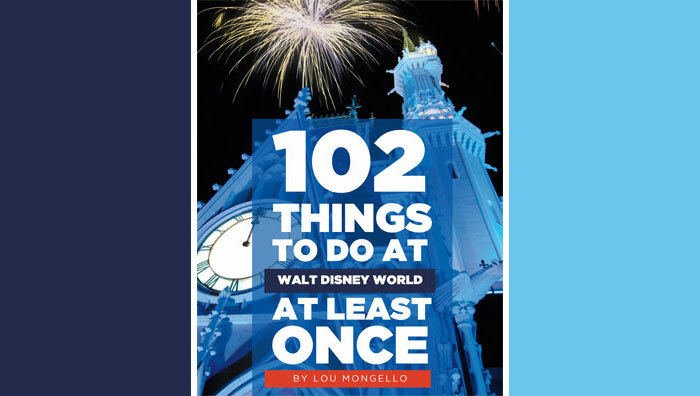 We’ll look back at how the show got started, why it almost never came to be, and why it remains the longest running show not just in Walt Disney World, but in all of American musical theater. QUESTION for YOU from this week’s show: Have YOU seen the Hoop Dee Do Musical Revue? Share your memories and thoughts on the show in the comments below! Thanks to my guest, Jim Korkis for joining me this week. You can purchase Jim’s books directly from Amazon.com below. loved your episode on the 40th anniversary of the Hoop Dee Do Revue! On my very first trip to Disney World with my now wife (this was before we were married), she took me to see the HDDR. We had a great time! A year later when I decided to propose, I took her to DisneyWorld for an extended weekend trip and made arrangements with some of the cast members to propose to my wife at the HDDR! It was awesome! I love sharing our engagement story because unlike just about everyone else in the universe, I did not do it at Cinderella’s castle. BTW, I am also a lawyer and also originally from Elizabeth, New Jersey. I feel like you are my brother from another mother. Love the show and all you do! We love the HDD. The first time we went to the HDD, we sat 2 tables away from the stage. My son ate so many ribs, our waitress gave him a glass cowboy boot cup as a prize. He still oves it at 22 years old! Best show at WDW and we love the boat from MK to the HDD. A must do when we go to WDW! Great show as always, my family and I always try to see Hoop-De-Doo when visiting Walt Disney World. During your show this week you mentioned making a career at Disney from Hoop-De-Doo, and I wanted to share something I learned last year during our vacation. While visiting with Chief Smokey Miller on main street, I learned that he started out at WDW as Six Bits in the HDD show and also met his wife while working on the show. Thanks for another great show! I went twice when I was a kid and loved it! My boyfriend and I will be doing the 10k in February and we’ve decided to do this as our celebratory dinner. Sidenote: Lou, I was in Animal Kingdom last Sunday and I think I saw you! I was eating lunch at Yak and Yeti a little before noon and I looked out the window to see what looked like you wearing a pair of Mickey ears and leading a group of Asian tourists who were filming you (or your lookalike). Was that you?? The first time I went to the HDD was on my honeymoon in ’95, what an experience! We sat front and center. stood and kissed behind the napkin in one song. I also played the Indian brave, but it was funny how I got recognized in different places in the days after, including at the airport when we got home. More recently my father in law was, um, the big comic exclamation point at the end of the show. At this point, it’s not something we have to do every trip, but it’s fun. I always enjoy the history shows and this one was no different. However, my experience with the Hoop de doo wasn’t as favorable. It’s been three years since my husband and I had our first night of our WDW honeymoon at the Review. Now, it may have been that we were tiered from our flight from the west coast and the excitement and stress from the week preceding our wedding but I should have managed my expectations a little better. We attended the last show of the evening and the food was probably left overs from the first show of the night. The only thing I remember liking was the corn bread and I’m not a huge fan of corn bread. The ribs and chicken dry. Being from the west coast, Disneyland is our home park, which has the Big Thunder Ranch BBQ. It’s one of our favorites and what I was expecting on the east coast. We loved the interaction of the cast and they did a great job; with the script they were given. Yes, I do believe that it hasn’t been updated since opening. Again, we are used to the Golden Horseshoe shows at Disneyland as well as being near the Great American Melodrama in Oceano CA., so found the story lacking any, well, story. I really wanted to, and still want to, like the show as I know a lot of people do. I hope to someday go again (maybe an earlier show?) and maybe not on the day that we have flown cross country. Thanks for all the great listening hours! We went to HDD for the first time on our last trip to Disney. Were up in the balcony, but I felt that the seating was great, and our daughter loved being able to look down on the stage. The whole show was really great. Feel a bit sad that we didn’t get to see the Hoop-de-doo song though. Love this episode! I have never done it but would LOVE to on my next trip. 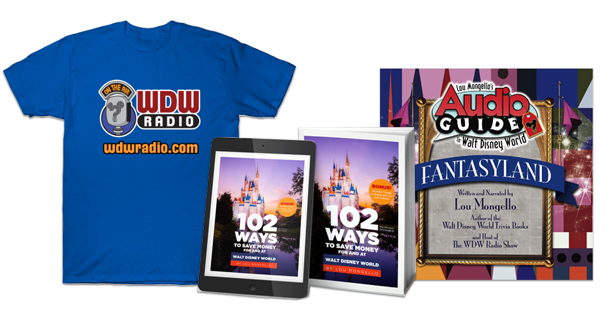 Another great show – listening to you and Jim discuss more Disney history. You always know you’re going to learn something interesting when Jim is on the show. Loved his line, “If I don’t see you in the future, I’ll see you in the pasture”. LOL!!! Love it. To answer your question, no, never been to the Hoop Dee Do Musical Revue, but sure need to make it over there our next time down. In fact, I was not even aware of it until I started listening to your show! Sounds like a darn tootin’ good time. Would like to get my hands on some of that chicken as well! Thanks again for a hoot’n and holler’n good time, Lou and Jim!! !